A beautifully soft, lightweight and vibrant cotton forms the base of our Ledbury 21 men's short pajamas, whilst our repeat geometric graphic in blue and white creates an eye-catching print. Inspired by the Santa Barbara Botanic Garden, this geometric print utilises layered up elements of our DR logo to create a floral repeat pattern. Come with us on a trip along the west coast of USA as this season we travel down through the California state. 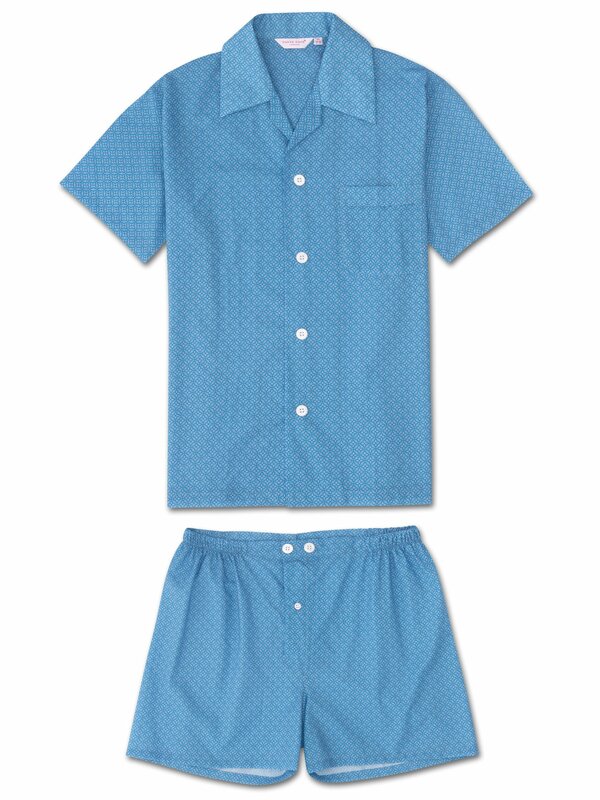 The Derek Rose short pajama is a warm weather staple, based on our bestselling classic fit pajama shape. Thanks to its ultra-fine batiste cotton, this is a soft, lightweight and cool PJ that's perfect for midsummer wear. 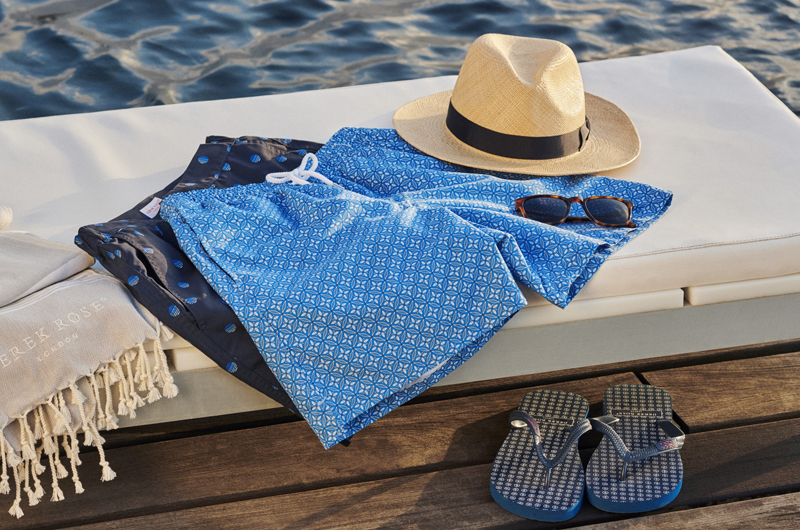 It's long been a favorite fabric weight for travellers, as it's not only comfortable in warm climates, but also light to pack and easy to carry.